Albert Camus was a French Algerian author, philosopher, and journalist who was awarded the Nobel Prize for Literature in 1957. He was a key philosopher of the 20th-century and his most famous work is the novel L'�tranger (The Stranger). In 1949, Camus founded the Group for International Liaisons within the Revolutionary Union Movement, which was a group opposed to some tendencies of the surrealistic movement of Andr� Breton. Camus was the second-youngest recipient of the Nobel Prize for Literature - after Rudyard Kipling - when he became the first African-born writer to receive the award. He is the shortest-lived of any literature laureate to date, having died in an automobile accident just over two years after receiving the award. He is often cited as a proponent of existentialism, the philosophy that he was associated with during his own lifetime, but Camus himself rejected this particular label. 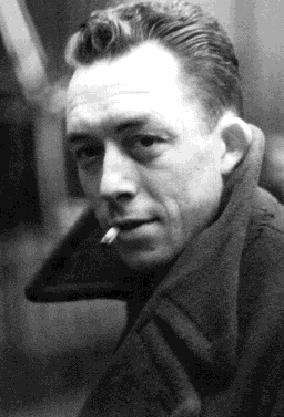 In an interview in 1945, Camus rejected any ideological associations: "No, I am not an existentialist. Sartre and I are always surprised to see our names linked..."
Specifically, his views contributed to the rise of the more current philosophy known as absurdism. He wrote in his essay The Rebel that his whole life was devoted to opposing the philosophy of nihilism while still delving deeply into individual freedom. An intellectual is a person whose mind watches itself.